Flowcrete will be organising a series of applicator training days throughout 2015 and 2016, focussing on their innovative product ranges including Flowfast MMA, Flowfresh, coving, decorative epoxies and industrial resins. The first in the series of applicator training days was held in August at Flowcrete Australia’s Sydney base, and covered the Flowfast MMA fast cure flooring systems including Kristalina, Quartz Scatter and Terrosso. 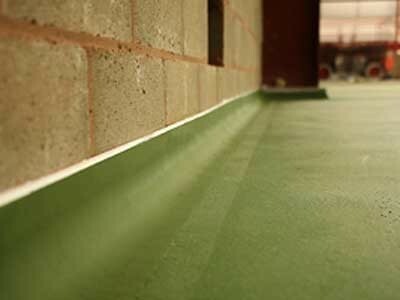 The MMA Applicator Training Day was designed to ease the concerns about Methyl Methacrylate flooring systems and equip flooring contractors and applicators with the necessary knowledge to master this ultra specialised system. The second MMA Flooring master class was held at Flowcrete’s Brisbane base recently, and presented by Flowcrete Australia's Managing Director Sean Tinsley and Marketing Manager Ilona Osborne. New dates will be announced soon for Flowcrete’s Applicator Training Day Series. Flooring contractors and applicators can register their interest by contacting Flowcrete’s Business Development Coordinator Oscar Rebolledo at [email protected].